Manchester United goalkeeper David de Gea has reportedly admitted to his Spain team-mates that he’d be open to a transfer to Real Madrid. 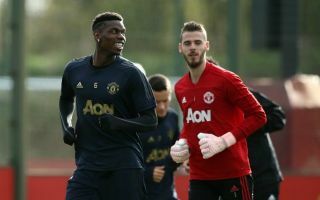 The Spanish shot-stopper has long been linked with Los Blancos, with BBC Sport reporting on quite how close he came to swapping Old Trafford for the Bernabeu back in 2015. Talk is now resurfacing about De Gea potentially moving to Real to replace Thibaut Courtois, who has had a poor first season at the club since being signed from Chelsea last summer. The Daily Mirror have reported on Zinedine Zidane being keen to replace Courtois with De Gea, and it’s now claimed by Diario Gol that the Red Devils star would be open to such a move as long as it can be sorted quickly, unlike last time. This would be a huge blow for Man Utd, with De Gea unquestionably one of their best and most important players for some years now. It would be a huge task for Ole Gunnar Solskjaer to replace such a world class performer, with the Norwegian already doing a superb job in difficult circumstances at United.